Have you ever found yourself amongst the calm stillness of the forest? With dappled sunlight shining on your skin and the scent of wild garlic, damp moss and primroses… It’s like medicine for the soul, a few hours spent in the woods. Perhaps it’s no wonder that researchers have shown the many beneficial effects of time spent amongst the trees – it can improve mood, energy levels and sleep quality, as well as a whole host of other health benefits. 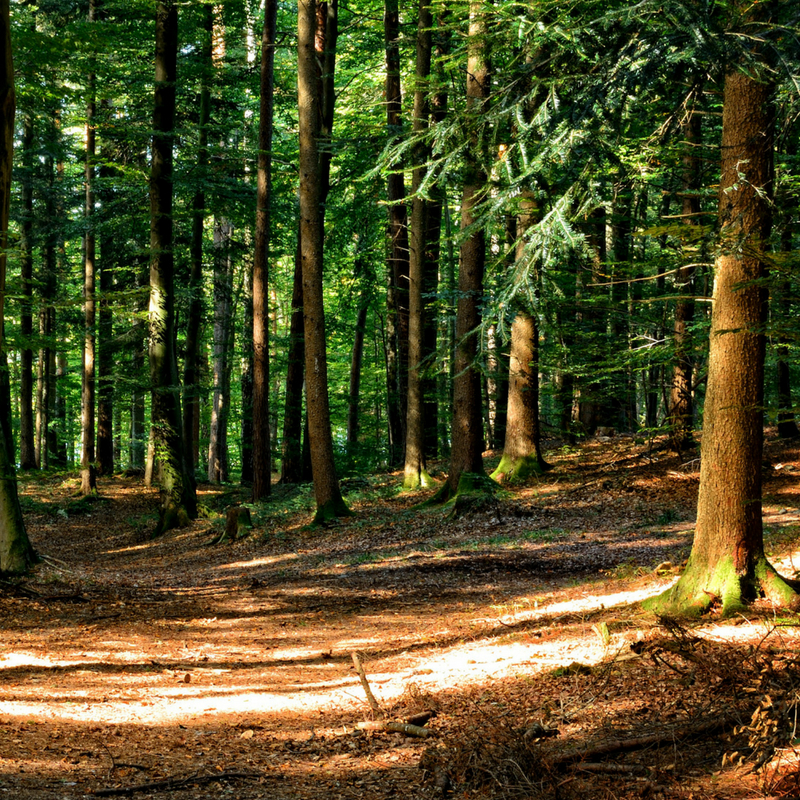 And it’s so loved in Japan that they have a special word for it – “Shinrin-yoku” or “forest bathing”. In Germany there are some unbelievably beautiful woodlands that you have to add to your forestry bucket list. Since our company is based here we’ve been able to use our personal experience to put together 6 of nature’s most magical (and medicinal) forests in Germany, which are undoubtedly amongst the most beautiful places on earth. In a region of lakes, rugged coastlines and fishing villages lies the Gespensterwald – a.k.a the Ghost forest. So called for the eerie atmosphere of the bare trunks of its trees, as well as its barren, windswept ground, the forest is a favourite amongst photographers and nature lovers alike who want to see a unique and surreal natural landscape. Relatively unknown to non-German tourists and not overcrowded even in the summer, the place is perhaps one of Germany’s best kept secrets. 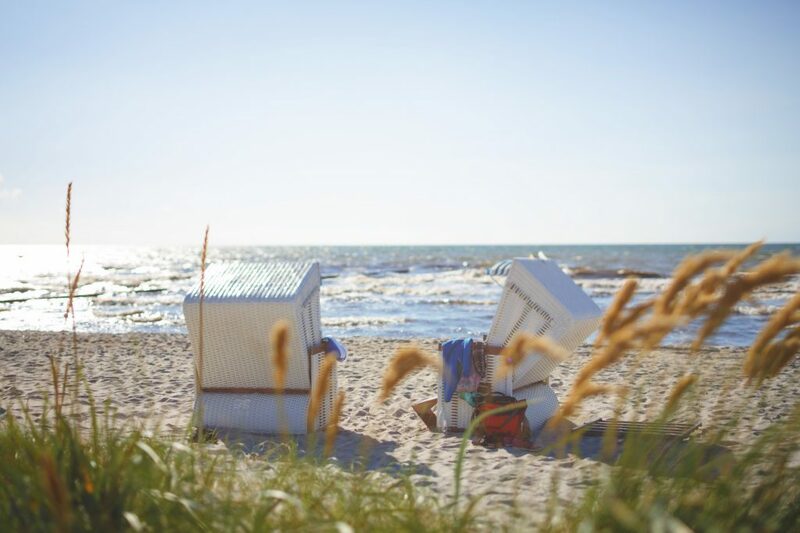 After exploring the forest, you can join what there is of a crowd and sunbathe safe from any winds from within one of the cutest little beach huts. You can also hire a boat and explore the extensive lakes and waterways that extend right from the coast into the beautiful lake district of the Müritz National Park. 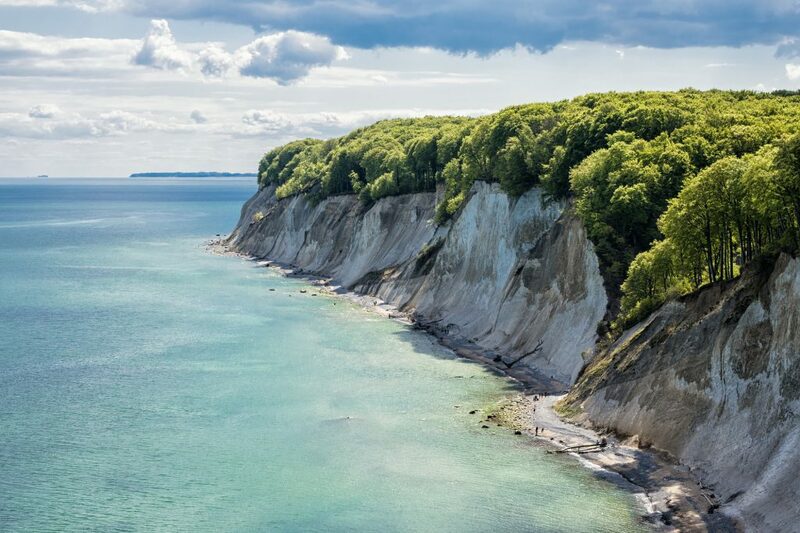 On a small island called Rügen in the Baltic Sea, the Jasmund National Park stretches out on a rocky white stone peninsula. These are the largest chalk cliffs in Germany, also known as the Königsstuhl – “King’s Chair”. An ancient Beech forest whose origins date back to the last ice age over 2 million years ago, it is part of the group of protected ‘Ancient and Primeval Beech Forests of the Carpathians and Other Regions of Europe’. Whilst these Beech trees used to be wildly spread throughout Europe, due to agriculture and the wood’s aptitude as firewood, the original extent of the forests reduced to just 0.2%. Water-filled dells and hollows which have been there since the ice age are surrounded by a unique and broad range of flora and fauna – alder, European crab apple, wild service tree, yews and orchids. After exploring the forest you can relax in the sun on one of the island’s long white sand beaches, or visit a museum to learn more about the ancient Viking history of the island with archaeological finds of silver coins and other Viking artefacts. Not far from Berlin in the region of Brandenburg lies the Spreewald, an alder and pine forest of 484 km2 and a designated UNESCO biosphere reserve since 1991. 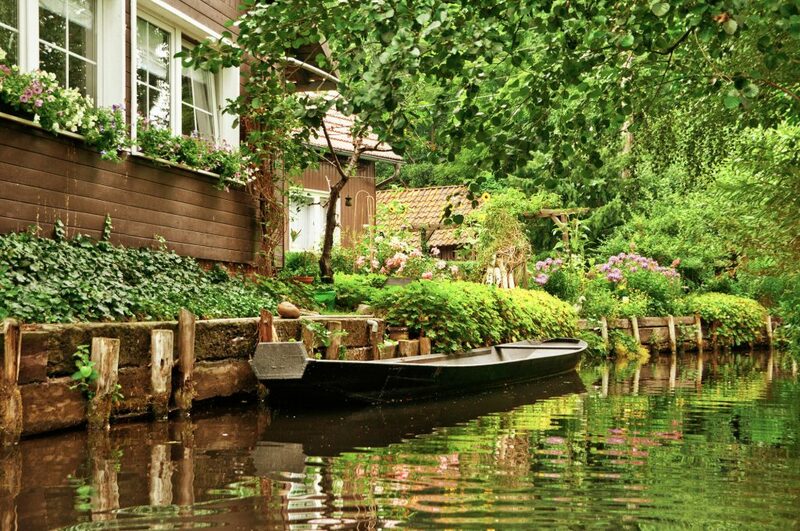 What makes it unique are its wetlands and irrigation system of over 200 small canals, a landscape formed during the ice-age, which you can explore via punt or rowing boat. Amongst the forest there are also grasslands, wildflower fields and agricultural lands, interspersed with quaint wooden farm houses. Its main town is the historical Lübbenau, dating back as far as the 8th century, complete with cobbled streets, wood timbered buildings and traditional restaurants. Its 50,000 inhabitants, of which some are direct descendants from the Slavic tribes of the Sorbs/Wends who first settled there, work mostly in tourism, fishing or agriculture. The language, customs and clothing of the original inhabitants has been preserved making for an interesting and unique experience. 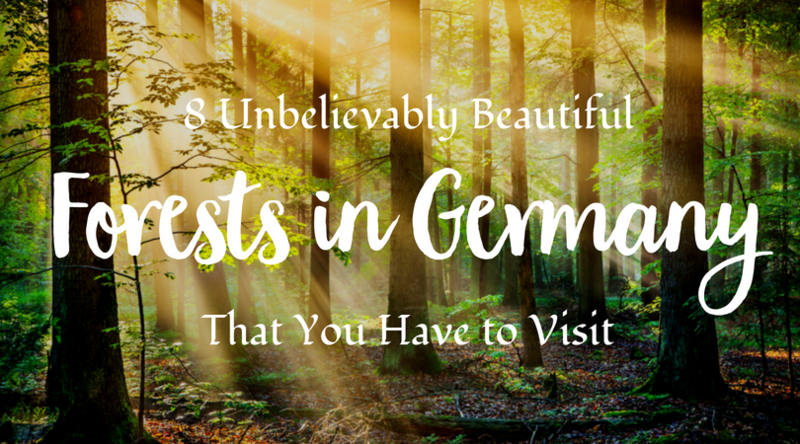 We couldn’t write about the most beautiful forests in Germany without mentioning the Black Forest. A 6,009 km² woodland in the Southwest German state of Baden-Württemberg, the Black Forest is home to many beautiful lakes, ancient trees and historical towns such as Freiburg and Baden-Baden. 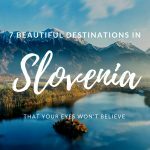 Epic hiking trails winding between mountains and villages as well as typical farm houses with half-hipped roofs, this area is rich in both culture and activities, and has to be on everyone’s bucket list. Hiking trails allow you to visit the tumbling waters of the Triberg Waterfalls, Germany’s highest waterfalls, or explore the winding gorge of the river Wutach. 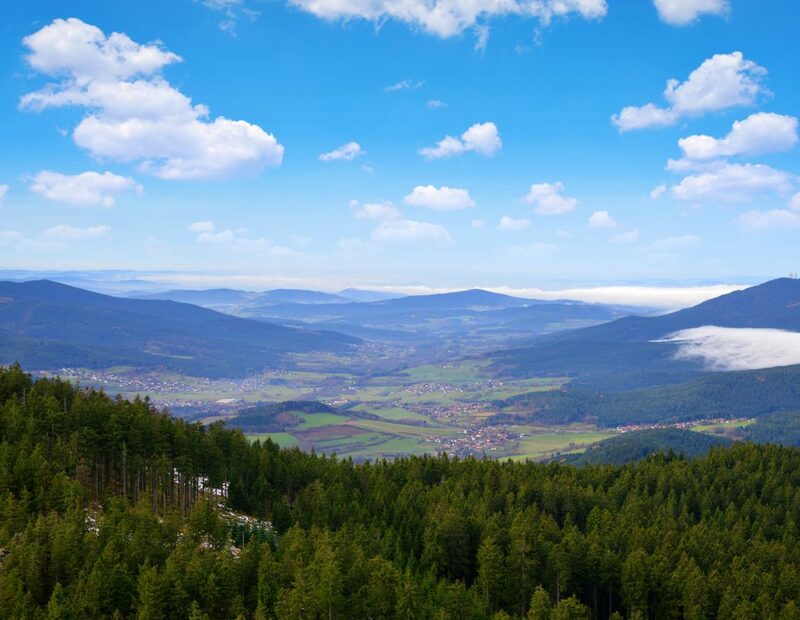 The Black Forest’s tallest mountain, Feldberg, is ideal for both summer hiking and winter skiing, and offers beautiful views of the lake in the valley below. The area’s Lichtenstein castle completes the fairytale feel and makes it clear why the Brothers Grimm were inspired to base classics such as Rapunzel and Sleeping Beauty here. If a cake could describe an experience, then a holiday here would be just like the traditional Black Forest Gateau – rich dark chocolate sponge with tumbling red berries and thick whipped cream – delightful and delicious. 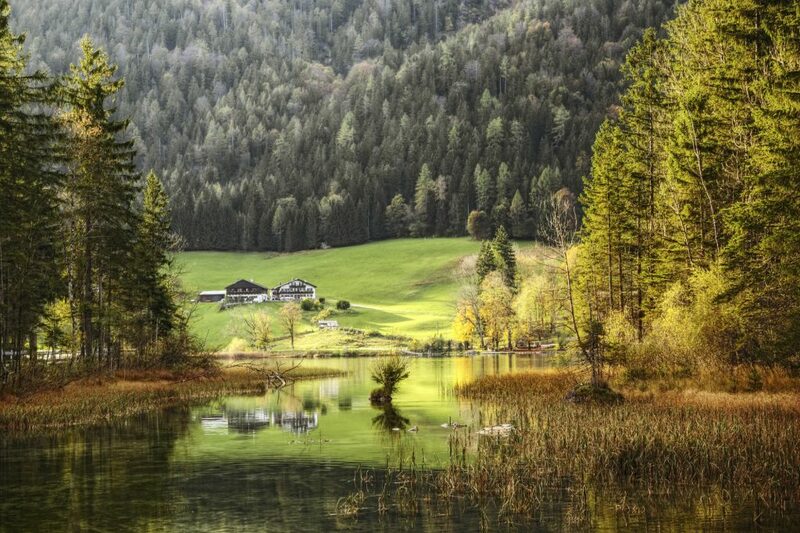 Near the town of Ramsau in the Bavarian Alps, the Zauberwald (translated “Magic Forest”) enchants its visitors with tall pine trees, moss-covered rocks and streams bubbling through from the blue lake Hintersee above, all surrounded by a magnificent panorama of mountains. This forest is one of many in the region of Bavaria, which is home to three national parks – the Bavarian Forest national park along the Czech border, the upper Bavarian forest nature park and the Bavarian forest nature park. In the same region you can also find the famous Neuschwanstein castle if you’re seeking even more fairytale thoroughfare. After long days of walking, restore your energy with a Bavarian wheat bear and hearty traditional meal in one of the many restaurants in the area. A hilly forest in the region of North Rhine-Westphalia, Teutoburg is a 4000 km2 area of beautiful hiking paths, small lakes and unique rock formations. 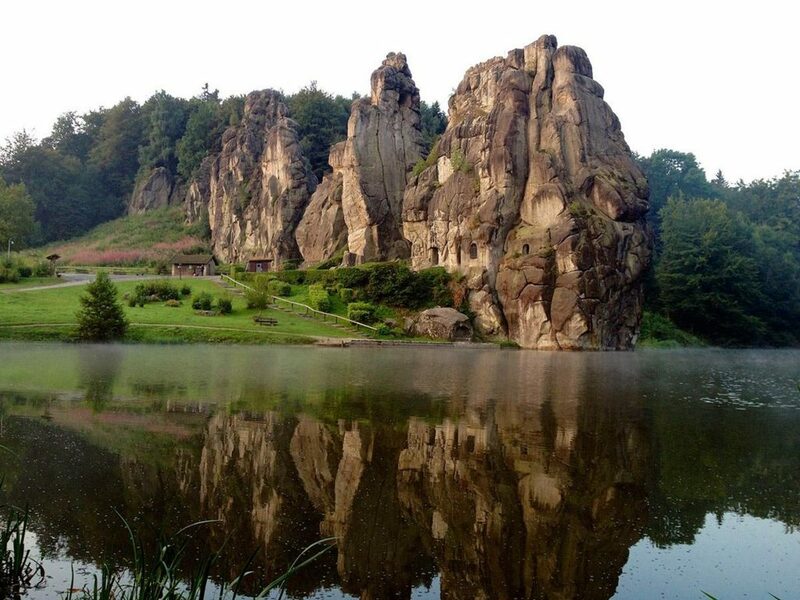 These sandstone rocks are called the Externsteine and were a sacred location of the pagan Saxons as well as a site of a Christian church. Inside the rocks, three manmade grottos have been carved, interconnected by passages dating back to at least 1115 CE. Summer solstice and Walpurgis Night is still celebrated here today, and many yogis find the place to be equally spiritual, visiting retreats such as Yoga Vidya in nearby Horn-Bad Meinberg. The forest is otherwise famous for the Battle of Teutoburg, in which Germanic tribes won against three Roman legions, proving to be the worst defeat in Roman military history and stopping the Romans from ever again occupying this area on the far side of the Rhine. Not far away is the mountainous area of Winterberg, perfect for hiking in summer and skiing in winter. 58 km² large area of woodland with rare birds and fish, a butterfly garden, and a romantic stream flowing along its northwestern border. There are six different hiking paths, of which the longest is 9km and passes the natural mineral water spring Bismarck and a linden-tree-lined alley. All of the marked hiking paths begin at the train stations of Friedrichsruh or Aumühle. This forest easy to visit if you are on a city break in the lively city of Hamburg and still want to include nature, and it is also a good stop-off point from which to head further East towards many of the charming lakes such as Großensee, Lanzersee and Schwerin or South towards the nature park of Lüneburg Heath. Just look! 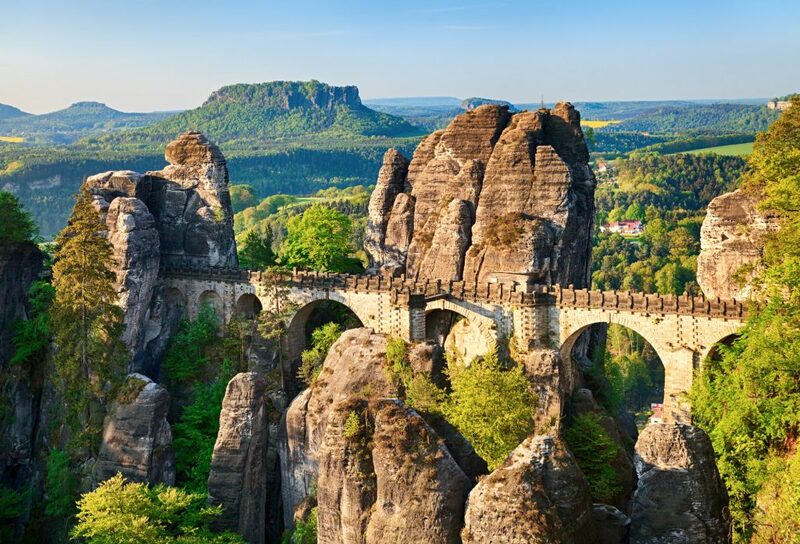 It’s so beautiful… A 93 km² area between Pirna and the Czech border, extending into Czech Bohemia, this forested landscape comprises many hiking paths, cycling paths and bizarre rock formations. 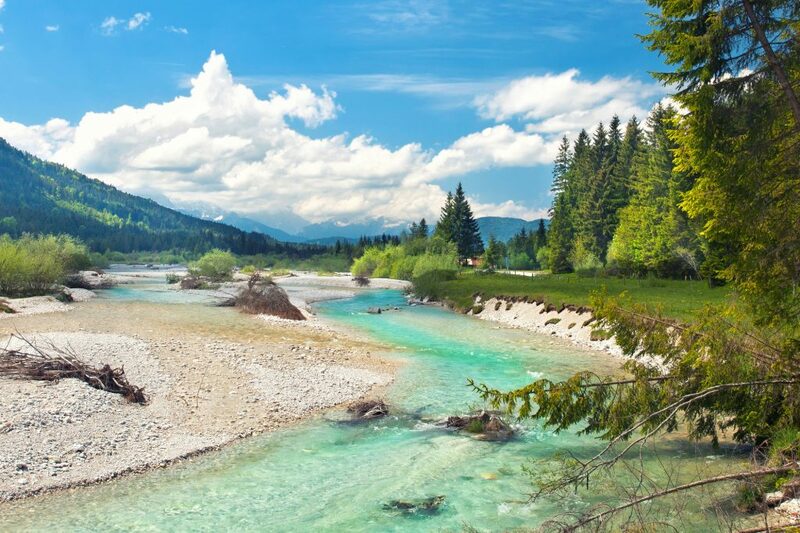 The forest lined River Isar (shown below) also flows through this region. So, when everyone around us is dashing off to overcrowded beaches and overpriced resorts, perhaps we should do the opposite and head for the shaded tranquillity of woodland.